How often has a file cabinet lock failed to open at the wrong moment? Have you ever faced a sudden lockout situation at your workplace? Commercial lock or key related emergencies may not arise often, but when they do, the entire day’s productivity suffers. For this reason, it is important to ask this vital question – do I have a 24 hr commercial locksmith near me ? Fortunately, if you own an establishment in Berkeley, CA area, the answer is yes! Only when crucial locks fail to open, master key systems go haywire, or keys get broken into half, one wish that they had a commercial locksmith near them 24 hrs a day and understandably so. 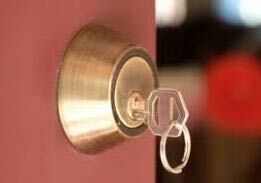 A lock related failure is always unexpected and can cause a lot of nuisance. Amber Locksmiths is a professional locksmith firm that offers express lock and key solutions to commercial clients situated in Berkeley, CA. How do we get the job done? Read on. Who can foretell a lock failure? What if your digital locks go haywire in the middle of the night shutting all the main entrances of the building? Wait until morning and you may just have to shut shop for the entire day. Don’t worry! We won’t let it come to that. We are the commercial locksmith near you with 24 hr availability in Berkeley, CA area to track and resolve all lock or key related emergencies. Our standby team remains vigil throughout the night and offers the same scale of services with no extra ‘night’ charge. When lock or key emergency strikes, people only call us! Haven’t you availed our quick and affordable services yet? Call us now on 510-803-3121 !